Thinking how to let your potential customers or clients start a chat with you and get inquiry through WhatsApp? Wonder how to start a new conversation with your friends or customers without saving their contact number? No worries. 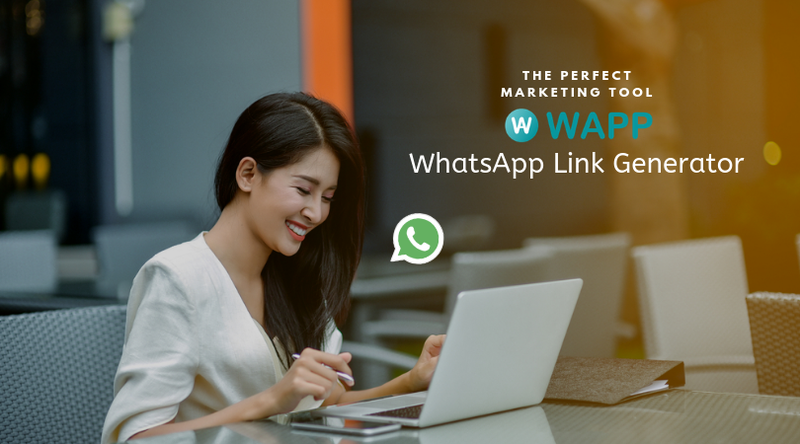 Now you can generate your personalized WhatsApp link and share it with your audience on social media! This can help your customers more easily to send you inquiry by clicking the link that you share and they don’t have to spend more time by adding your phone number to reach you. Besides, you are also able to chat with your friends or customers by create a link anywhere you like on your desktop. Just few steps needed! Visit https://wapp.my (make sure your WhatsApp account is link with WhatsApp Web). Key in the phone number in international format that you want to reach. Make sure there is only numeric number. After that, Type your message into the column and click Get Link. You can click the Copy button and Paste to new tab or scan the QR Code to enter WhatsApp window. Then click Send !